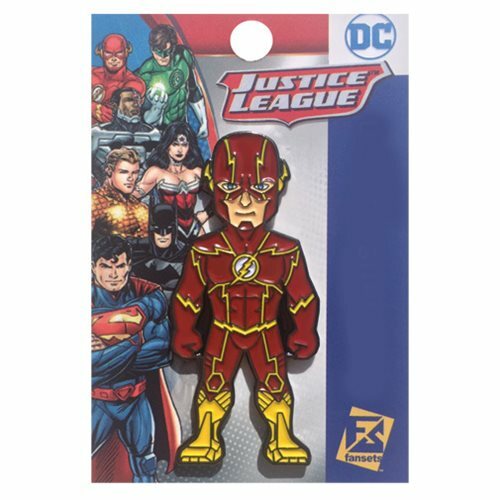 From Fansets comes a highly collectable pin featuring your favorite super hero, Flash from The New 52. Collect all your favorite DC Universe Characters in pin form (sold separately)! Perfect for wearing around on your clothes or your bag, these pins are sure to be a hit. This Flash The DC Comics Flash The New 52 Pin measures about 2-inches tall.